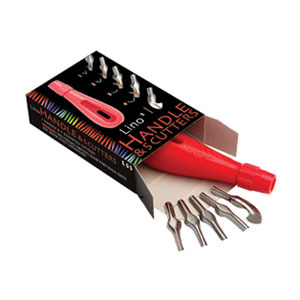 Essdee Lino Cutter 1 To 5 Plus Handle Set Includes 5 precision cutters (styles No.1 - 5) and a sturdy handle with an aluminium collar which allows the cutters to be securely fitted and tightened with ease. Manufactured from high carbon steel. Durable and long lasting, the Essdee cutters are precision ground to an optimum angle providing effortless lino cutting.